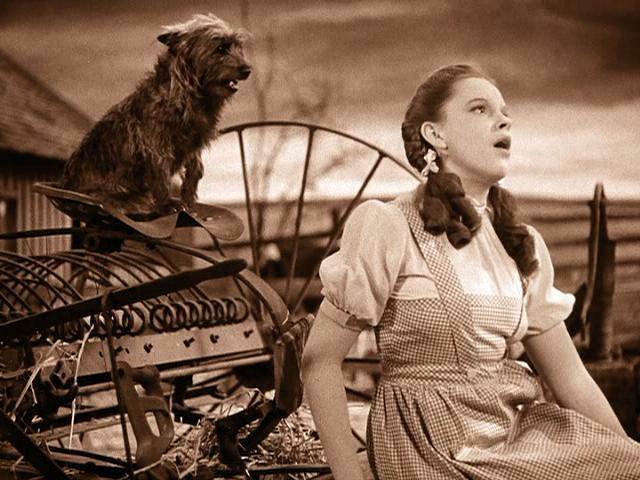 In The Wizard of Oz Dorothy (Judy Garland) is an innocent farm girl who gets swept away in a tornado with her dog Toto. She arrives in a magical place called Oz. While trying to find her way home, she makes friends and enemies. – The film is an adaption of the book The Wonderful Wizard of Oz by L. Frank Baum, which was released in 1900. 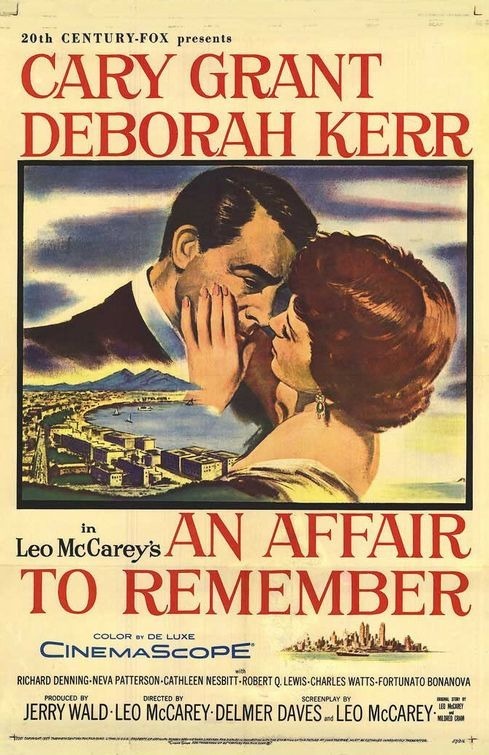 A silent film version had already been made. But when MGM studio head Louis B. Mayer saw the success of Snow White and the Seven Dwarfs (1937) he wanted to make a children’s movie for MGM. He bought the rights to The Wonderful Wizard of Oz and decided that his child protégé Judy Garland would star as Dorothy. 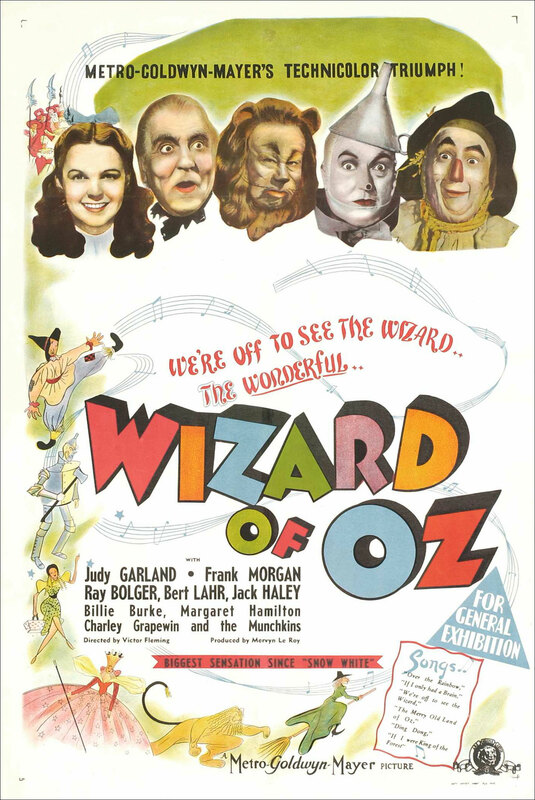 – More than a dozen writers worked on the script for The Wizard of Oz, but only three got the film credits. – Judy Garland’s childlike physique was due to a painful corset. – Margaret Hamilton’s performance as The Wicked Witch of the West was considered so scary, that many scenes were cut so it wouldn’t scare children too much. – The dog that played Toto was called Terry, but her owner changed her name to Toto after the success of the film. It has also been reported that she made almost three times more money than the actors who played the Munchkins. – It is often assumed that The Wizard of Oz was filmed in black and white and was later colored in. This is not the case. The countryside part of the film was purposely made in sepia tones and when Dorothy arrives in Oz, everything is purposely in color. Because it was so expensive to shoot in sepia tones, the inside of the farmhouse was completely painted in sepia, as was Dorothy’s dress. – Although Over The Rainbow is one of the most popular songs in the history of cinema, it was almost cut out of the film. The studio felt that it made the Kansas sequence too long and that it was too serious for a children’s film. – According to a recent study The Wizard of Oz is the most watched film in history. Partly due to its presence on television. – The cost of the production was 2.8 million dollar and it made 3 million upon release. 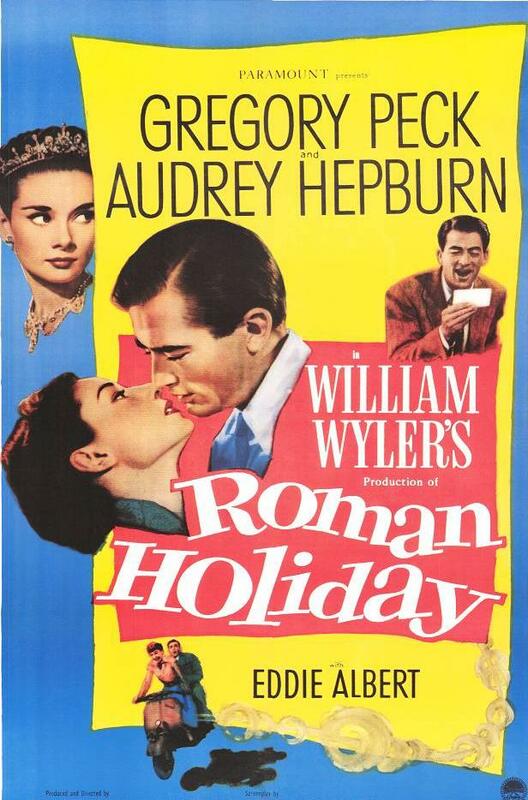 It made an additional 1.5 million after its re-release in 1949. Although The Wizard of Oz was only considered reasonably successful upon its release, it has since grown in both profit and cultural influence beyond imagination. Even those who have not seen the movie undoubtedly know of its existence and know its most popular quotes, which have become a part of the English language. 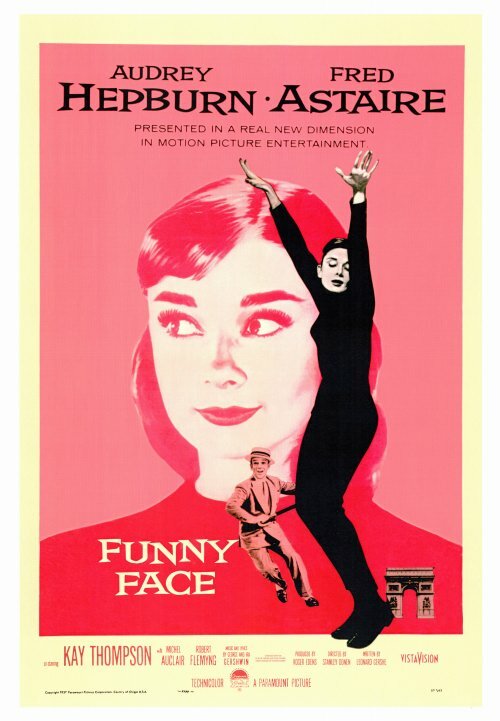 It is not only the most watched film in history and the favorite film of many grown-ups and children alike, but it was also the influence behind other projects. Most notably, the book and popular musical Wicked was derived from The Wizard of Oz. The Wizard of Oz was the movie that made Judy Garland a star and for which she is most remembered. And not only the movie is a classic, the song Over The Rainbow is probably the most popular song in cinema history. 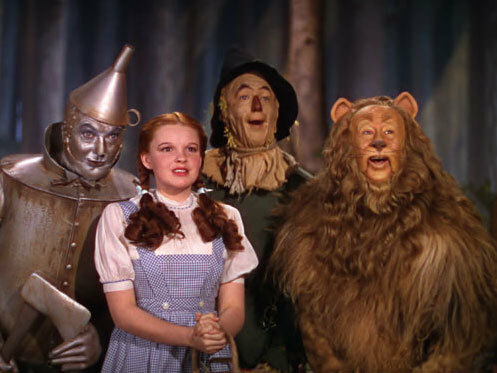 Some people see a lot of symbolism in the story of The Wizard of Oz, but above all it has entertained many generations since its release in 1939. Read more about Judy Garland’s life.